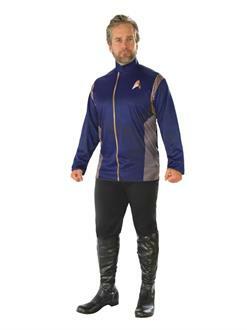 Take command this Halloween when you put on the Star Trek Discovery Men’s Command Uniform Costume Top. 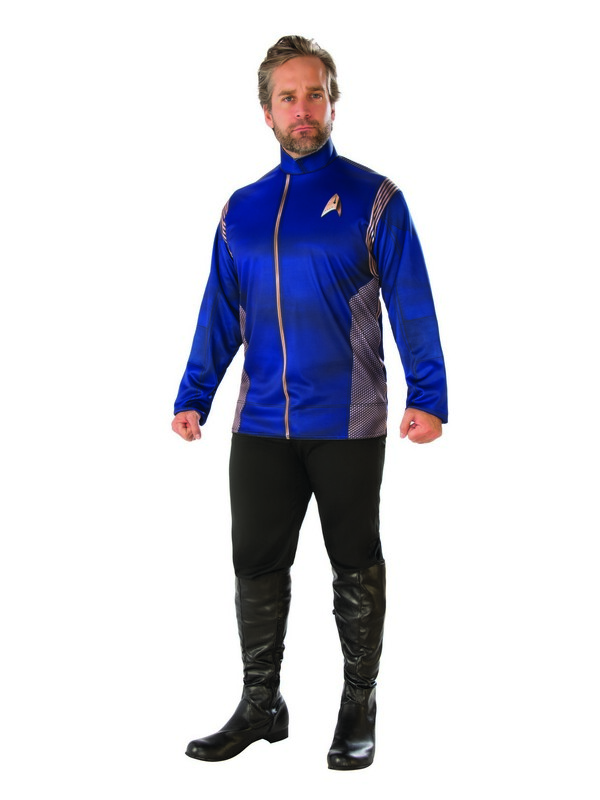 The long sleeve blue shirt features a gold Starfleet emblem on the chest and additional gold accents on the sides. Officially licensed, it is inspired by the outfit worn by Capt. Lorca (Jason Isaacs) and other command officers in the new Star Trek series.